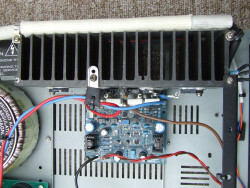 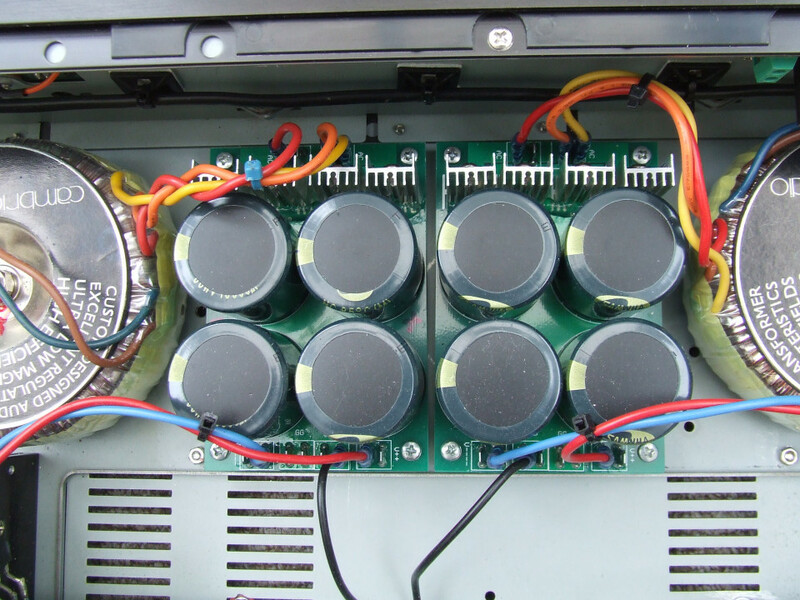 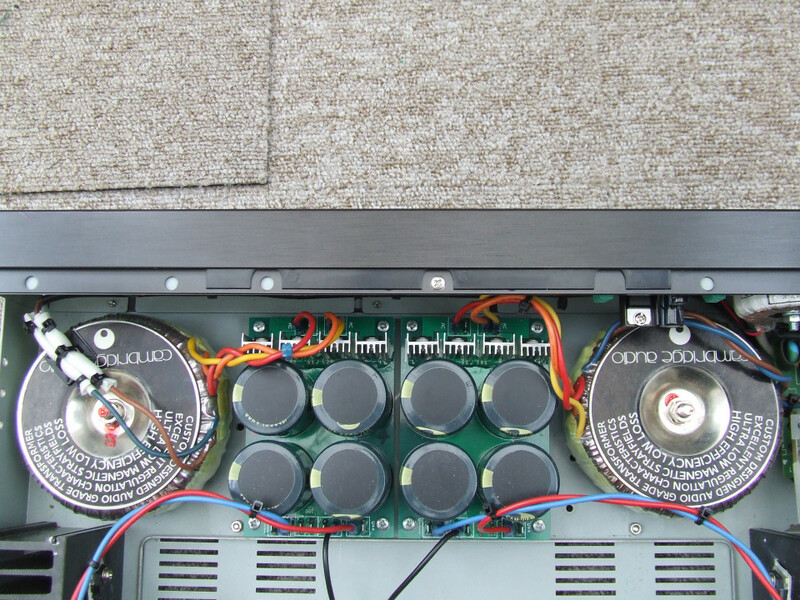 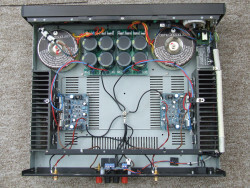 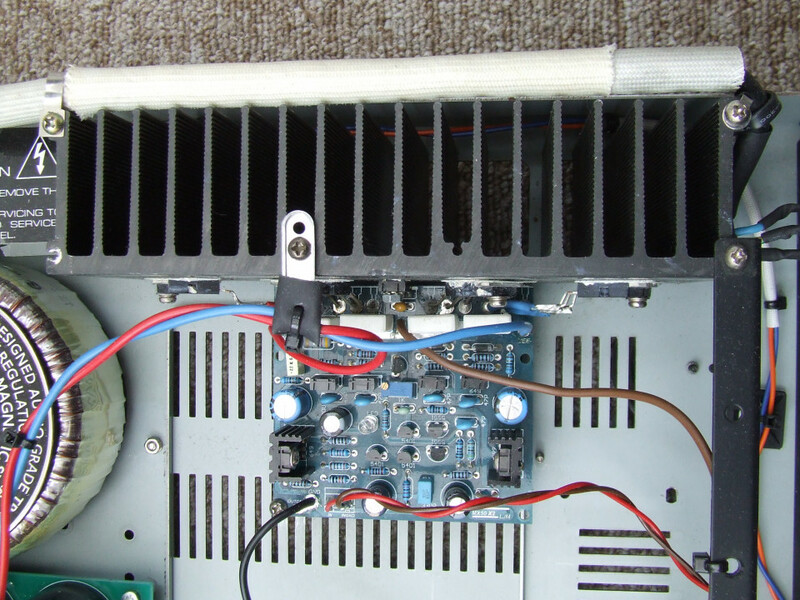 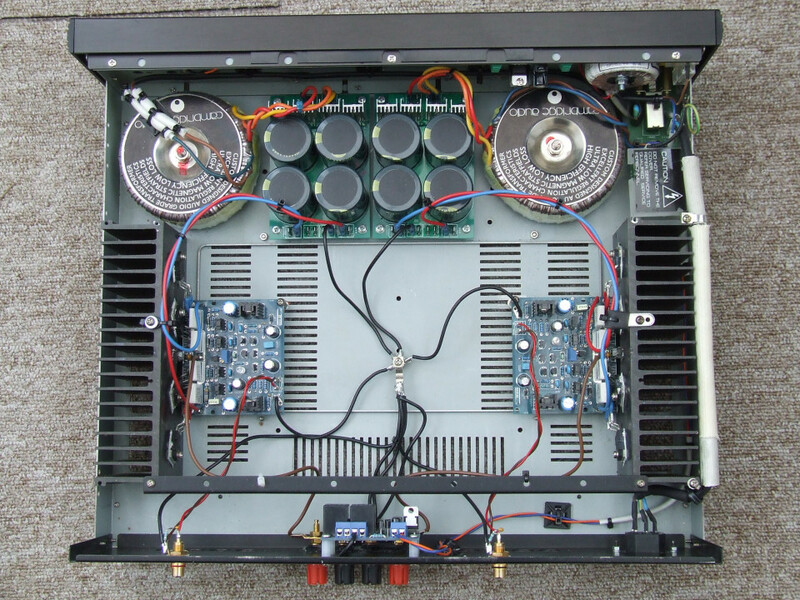 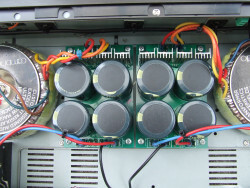 This power amp was based around two 'LJM MX50X2' modules purchased off Ebay from a Chinese vendor. 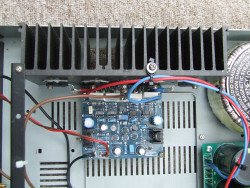 Having spent a fair amount of time unsuccessfully trying to source suitable heatsinks, I eventually went in search of a donor amplifier, and knowing that most Rotel models have generously rated heatsinks, I found an RB-956AX on Ebay for a good price, so I bought it. I initially used the Rotel transformer, but the voltage was found to be too low, so I reverted to my original plan of using two toroidal transformers from a Cambridge A5.